In what is becoming an annual tradition, I’ve spent the last several weeks compiling a list of books for our girls to read this summer. While our daughters normally read a lot of fiction – just as I did when I was their age! – we like to steer them toward quality, non-fiction books that will help them grow spiritually and mentally when they have extra reading time in the summer. We’ve adopted an idea from Dave Ramsey to pay our kids to read these books and write a report on them. Since we start this process when they’re 13, it will be the first summer for our younger daughter and the third for our older daughter. Both girls are going to do the same devotional book, then have individual lists for their other reading. Devotional: Just Us Girls: A Bible Study on Being God’s Girl in Middle School by Hannah Duggan. (Just to put this out there – the title of the first chapter includes a slang word that we wouldn’t allow our girls to say, but they’re old enough to handle reading it without going around repeating it!) This book is written in a style that I think my girls will really relate to. The author deals directly with so many of the things they’re facing at these ages. The chapters on “The Love of Your Life” and “Beauty and the Best” are especially excellent! Due to the layout of the book, I”m going to have them read a chapter each Sunday afternoon. At the end of each chapter is a five-day devotional section, so on Monday through Friday, they’ll read that day’s verse and answer the questions in a journal I’ll give them. Each Friday, we’ll sit down and talk about what they’ve learned that week. Here’s what on the reading list for my 13-year-old. 1. Heaven for Kids by Randy Alcorn. And here’s what my 15-year-old will be reading. Bonus Book: Eat That Frog by Brian Tracy. If the girls want an extra book to read, this is an easy read with a valuable lesson. 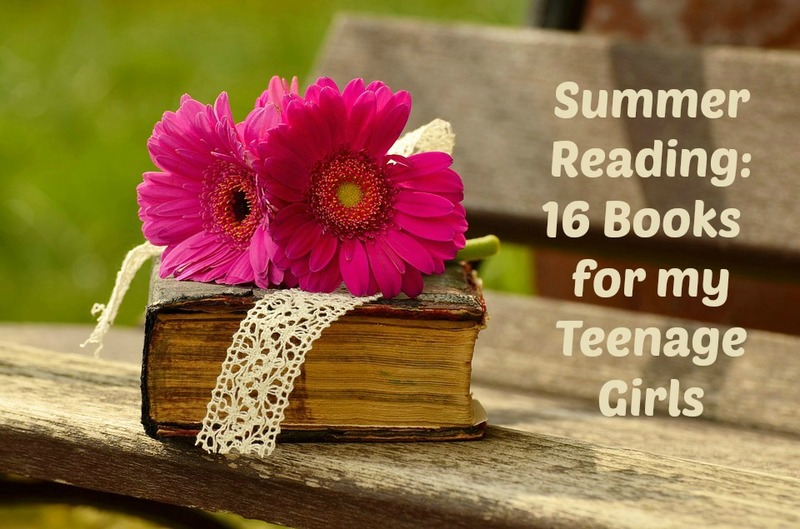 I need to add more titles to my Pinterest board of Books for My Teen Girls to Read, so if you have any suggestions, please let me know! You're such an encouragement to me – and I'm proud to be part of your tribe!! I'm certainly adding that book to my Pinterest board for my girls to read. Hope you have a great weekend!